We have content designed to meet the needs of multiple industries. 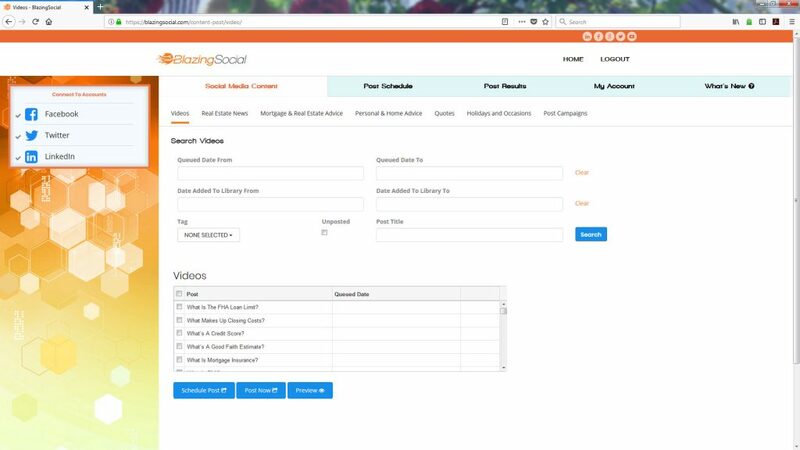 Whether you need automated social media for mortgage, real estate or title company topics, you can choose the posts you want to add to your stream and set your own unique schedule right from the BlazingSocial dashboard. And that’s not all. 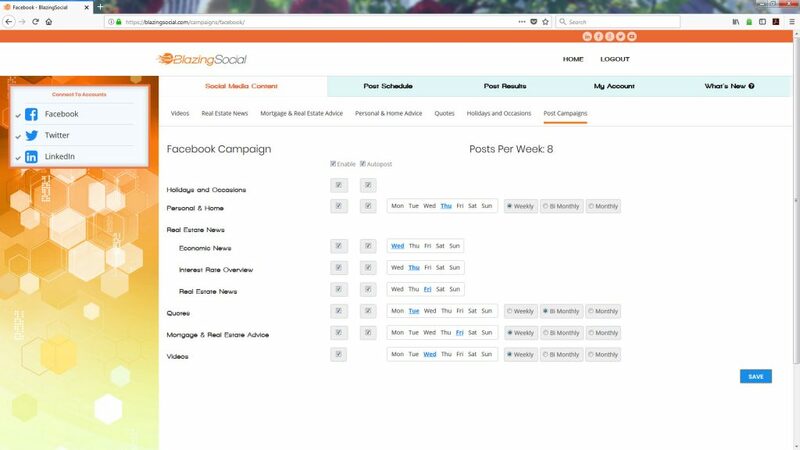 With BlazingSocial, you’re never in the dark when it comes to how your social media marketing campaign is performing. 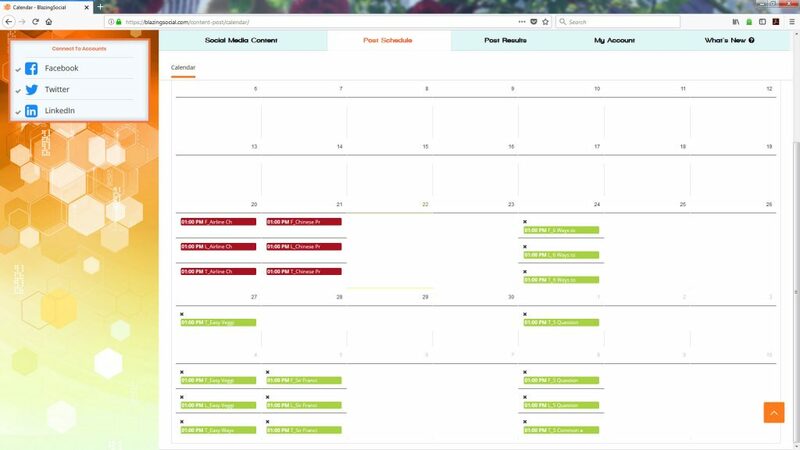 Our dashboard can provide insights into how your tweets, posts, and updates are performing with your audience.